I belong on several writing forums. Why? Because I really love the support offered there. It's also a place where I am constantly learning about new subjects and new information on the publishing industry. There is a slight drawback, however, to being on a forum for several years. It means you encounter the same questions many times with new members coming along. Now because I am always keen to share the knowledge I have learned in my relatively short time as a published author, I rarely begrudge repeated questions. But there is one question that does frustrate me slightly. Which I always address when it is asked, and it is often asked. At least once a month, if not more frequently. This is that question: How can I write a convincing female character? or Do you think people will mind if my female character is such and such? or simply "About Female Characters". And there is no male equivalent of this question. There is the gender neutral equivalent. The one that reads "How do you write about the opposite gender?" And those happen on occasion. But never so often as specifying female. So it's gotten to the point where I must ask myself: why is that? And then I try to answer it. The first answer is something I realised in high school: a female character is seen as female first, person second. I realised this while working on WAITING FOR GODOT (I was playing Vladimir). The role I was playing was typically played by a man, and had a male name, and clearly was meant originally to be performed by a man. But it didn't matter if it really was a man. There was no discussion in the play about being a man, about manliness (whatever that is). He was a cypher for ideas. He was an everyman. Almost more of a thing than a gender. And I wondered, could such a character exist and just happen to be female? The answer to the question I asked myself made me sad: "No.". At least not easily so. Another example: I'm not sure how many of you are into DOCTOR WHO, but there is a debate in the Whoverse as to whether or not the Doctor could be played by a woman. Most people debate this point discussing whether there are any hints in previous episodes that allow the Doctor to be a woman, whether canon suggests he can only be male etc etc. But the reality is, it isn't a question of canon and character: most people can't see it because despite a few romantic dalliances, the Doctor is an everyman. And it's very difficult to fathom of a Doctor played by a woman still being an everyman - someone who just happens to be a woman, who is seen as a character first, her gender second. For that is the crux of the problem: a female character is seen as female first, a person second. Whereas a male character is seen as person first, male second. Think about it? Can you think of an everyman character that is female? I am asking about a typical grown up woman. Not a pre-pubescent child (think Alex from my books), or an old wise woman (like the old wise man) who no longer is seen as "woman" due to her age. So yeah, can you think of an everyman woman? 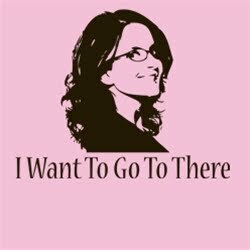 The closest I get is Tina Fey's Liz Lemon from 30 ROCK. Which might be yet another reason to add to the pile of why I love her. Needless to say, it isn't common. Think of action movies: you have the lead guy, the geek guy, maybe the big tough guy, the uber hot guy, the guy of some racial minority and the woman. "Guy" is considered the default gender so it gets subdivided into types. But not "gal". "Gal" IS a type (just as racial minority is a type, but that's a blog post for another time). Try for a moment to imagine OCEAN'S 11, but reversing the gender roles. It's kind of fun. But do you see how automatically it becomes a movie about women robbing a casino, not a quirky group of people robbing a casino? Another reason that people question so frequently how to write female characters is that we are raised to see women as totally unfathomably complex. This intimidates people when it comes to writing female characters. If they are so difficult to understand as sitcoms and lad mags have been telling us for years, what hope is there for us to empathise? But I'll tell you a secret. First of all, seriously, we're no more complex than men. We are complex because we are humans, of course. And that's the thing. There are far more differences between individuals, than the genders. Sure you can say all men are this and all women are this (though invariably you will instantly have someone come along and say, "Uh, not me.") But honestly, isn't it far more interesting how different we all are from each other? You think those two guys sitting on the subway have the exact same hobbies, education, belief system? Unlikely. Ditto those two women over there. And here's a wacky thing, maybe that woman and that man actually have more in common with each other than they do with the other of their own gender. It's how I feel when people ask: are you more likely to read a book with a character that is your gender? Well, I mean, I'm more interested in who this character is? I'm also more interested in if the book has a sense of humour. Is it well written? What's the setting of the book? Is there a moral and do I agree (or not, it's interesting to read contrasting opinions)? There are so many more things that I as Adrienne am interested in, than just, "Is the main character of this book a girl?" And further, just because someone is a girl doesn't mean I have anything in common with her. I'll tell you another secret, I've never been an Extremely Ginormous Octopus. I've never been a pirate Captain. I've never been a Magician's Assistant, nor lived in the Edwardian era. Yet somehow people never question my ability to write about those characters. My point: we as authors have been writing about people we aren't for forever. We find a way to empathise, we find a way in. Female characters are no different. All they are are characters. They are people too. Instead of asking yourself, "How do I write this female soldier?" ask yourself, "How do I write this soldier? Where is she from, how was she raised, does she have a sense of humour? Is she big and tall, is she short and petite? How does her size affect her ability to fight? What is her favourite weapon, her least favourite? Why? Is she more logical than emotional? The other way around? Was she an only child and spoiled, was she the eldest of six siblings and a surrogate mother? How does that upbringing affect how she interacts with her team? etc etc and so forth." Notice how the first question gets you some kind of broad, generalised answer, likely resulting in a stereotype, and how the second version asks lots and lots of smaller questions with the goal of creating someone well rounded. One would hope, really, that we as authors ask such detailed questions of all our characters, regardless of gender. "How do I write a female character?" Write her the way you would write any other character. Give her dimension, give her strength but please also don't forget to give her weaknesses (for a totally strong nothing can beat her kind of girl is not a person, she's again a type - the polar opposite yet exactly the same as the damsel in distress). Love this and agree. I just told my friends last weekend that's why I love Liz Lemon so much. Thank you all! I'm glad my post resonated with you. And yay Liz Lemon!! Well said. I wish script writers especially would ask more backstory questions about their female characters, and turn them into well rounded people. I hate seeing 1 dimensional characters in films (male or female). And I can't stand stereotypes. And yet that's what we get the most of. Gorgeous post, thank you for sharing compassionate common sense. It's terrifying for many authors to try to write any kind of other, and there are many reasons for it. The stigmas about how men can write women (and how women can write men) in the editorial world alone are infuriating, and the way it's imbued upon further generations is simply awful. Treating all characters as agents first (or people in general) is the wisest course. The funniest thing about this is, I've never seen the distinction between a character and a female character. I have asked that question in the past, but about male characters, though (being female, and all ,myself). But it's basically the same quandary. The gender may or may not influence some character behaviors, depending upon the society in which a story is set; but, other than that, there is no distinction. Well, except, perhaps, for expectations: but those are up to the author's discretion. A very timely post. Just last night, when a (male) author I like did an "Ask Me Anything, some guy posted the following question to him: "Why do talented writers like you and [other male author] often use female characters as your protagonists? Is it for the challenge? And do you think it hurts your sales any?" Sorry for the duplicate post! It took me about six tries to get past the damn CAPTCHA (apparently if you're trying to log in using OpenID, it keeps telling you that what you typed is wrong no matter how many times you try and how careful you are), and when I finally did, I didn't at first realize that it had worked - I just thought the form had eaten my comment. I think the reason people keep asking questions like this is that women are really different than men. And while it's true that a writer doesn't need to be an Extremely Ginormous Octopus to write like one, there are no Extremely Ginormous Octopuses out there to call you on something if you make a mistake. Plus, there is no existing E.G.O. stereotypes that have the potential to influence writing a woman character. Meanwhile, we see cardboard cut-out and stereotyped women all the time (mostly from Michael Bay films). At least if you ask the question, you are showing a desire to "get it right". However, has any writer, in their experience, been called on something that said "That character, that's something a women would never do"? You might appreciate the US TV series "Damages", and the Canadian writer Tanya Huff. All involve very sharply defined female characters. Bones (Dr. Temperance Brennan). I've always seen her as a scientist first. But oh yes, I also loved Ripley. Huh, I had no idea Damages was written by Tanya Huff. Oh, and Keepsie Branson from Mur Lafferty's book "Playing For Keeps". I am going through such a problem right now. The female POV is hard. I am writing a short film where the point of view is transferred from the male to the female character. What I am discovering is male characters have less limits than female characters, and they can still remain likable. Male characters can be nasty people and still be likable. Females don’t have nearly as much leeway, due to the audiences expectation of what a female should be. It is easy to write a male as “confident/cocky,” without a second thought. If you switch the genders, she becomes an arrogant b-word to the general audience. My favorite example of this is Carmen from the movie Starship Troopers. If the sexes were reversed, male Carmen would be a much more likable character. Well at least not as generally hated. I am sure this applies to real life and how society views women. Women have to live with this everyday, while us males usually “don’t see it.” (Until we try to write it.) So it is hard for us to relate. It is more of what not to do with the character. It is really hard in a romantic setting, well at least for me. It is easy for a male to get a female character wrong. This is an issue not just with female characters, but with all characters that diverge from the White Middle-Class Male Heterosexual norm. If you write such a character, you can do what you want with them, and if the character suffers from OCD and shoplifts, then that's a comment, if anything, on OCD and kleptomania. If your main character is a Thai lesbian, then if you give her OCD and have her shoplifting, that's a comment on how Thai lesbians behave. Certainly having two Thai lesbians would be odd - because why would you need two different characters to say what you feel about Thai lesbians? Authors just have to be brave about it. If told "Women don't behave like that" or "No-one from Greece would ever say that", they have to be strong enough to insist that no group is homogeneous, that a character represents only himself*, and they tell the truth as best they can. *Did the "himself" jar a little? Pointed here by a friend, vis-a-vis a conversation we'd been having about a character I write called Penny. I won't get into it here, but you make some excellent points. I especially like the point you make about never having been an Extremely Ginormous Octopus, or a Magician's Assistant, etc. I just write her as she presents herself to me in my imagination, exactly the same way I write the narrator and protagonist of the stories. As a person. Well-said, and thanks for a thought-provoking read.